Jan Kuehnemann is a seasoned professional with over 15 years of experience hotel investment, strategic planning, asset management and operations. 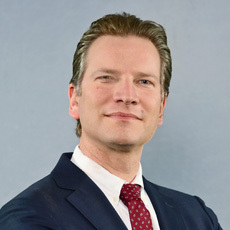 Prior to joining PAH, Kuehnemann was Vice President of Capital Transactions Group at FelCor Lodging Trust, where he was responsible for all acquisition and disposition efforts of the company. During his tenure with FelCor, he closed on over $2 billion in hotel transactions, facilitated in the development of the annual strategic plan for the company to assess current goals, and negotiated management agreements for both newly acquired hotels and existing hotels, including a master agreement with Hilton Worldwide resulting in significant cost savings and enhanced alignment of interested between manager and owner. Prior to FelCor, Kuehnemann worked in hotel operations in Germany. He is a graduate of Cornell University, where he received a degree from the School of Hotel Administration.